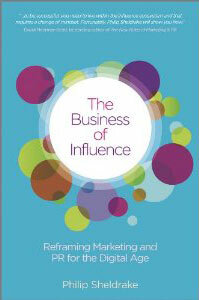 Philip Sheldrake is the author of The Business of Influence, Wiley, 2011. He is a Chartered Engineer, Managing Partner of Euler Partners, a Main Board Director of Intellect, the UK trade association for the technology industry, Board Director of 6UK, a government backed non-profit to promote adoption of the new Internet protocol in the UK, and a Founding Partner of Meanwhile. He co-founded an award-winning PR consultancy at the end of the 90s, selling it to W2 Group, a Massachusetts based marketing services group, to become the European HQ of W2′s PR company, Racepoint. Philip also authored the digital marketing chapter of The Marketing Century, a book celebrating the centenary of the Chartered Institute of Marketing, two chapters of the best-selling Share This from the Chartered Institute of Public Relations, and The Social Web Analytics eBook 2008. 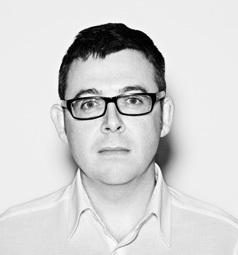 He chairs the Chartered Institute of Public Relations group on measurement and evaluation, and co-presents CIPR TV.